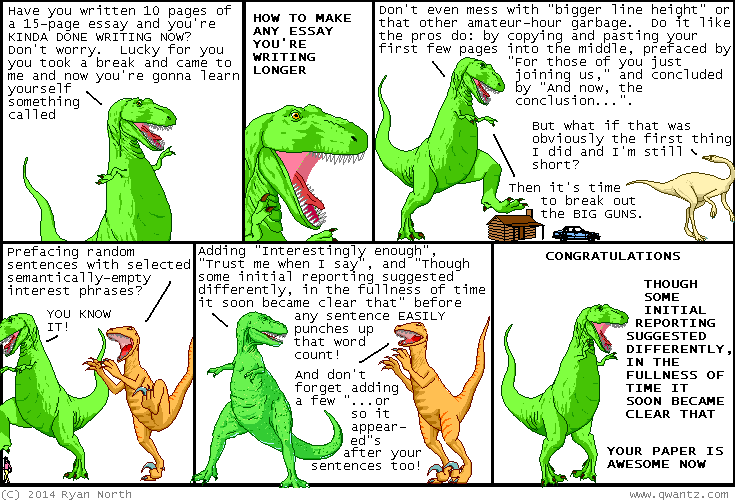 Dinosaur Comics - December 11th, 2014 - awesome fun times! –The correct answer is that this scenario is ludicrous and impossible! December 11th, 2014: If you've been reading Dinosaur Comics since 2008 hoping that this topic would finally be addressed in a reasonable manner, I HAVE SOME KINDA GOOD FRIGGIN' NEWS FOR YOU, MY FRIEND.